Children have until March 31 2014 to enter the 13th World Children’s Haiku Contest 2013-2014 (sponsored by JAL Foundation). The themed is ‘ DREAMS ‘. Genjuan is the name of the cottage near Lake Biwa where,in 1690,Basho lived for a time. His residence in this‘Vision-Inhabited Cottage’was probably the happiest period of his life, and it was there that he wrote his most famous short haibun. 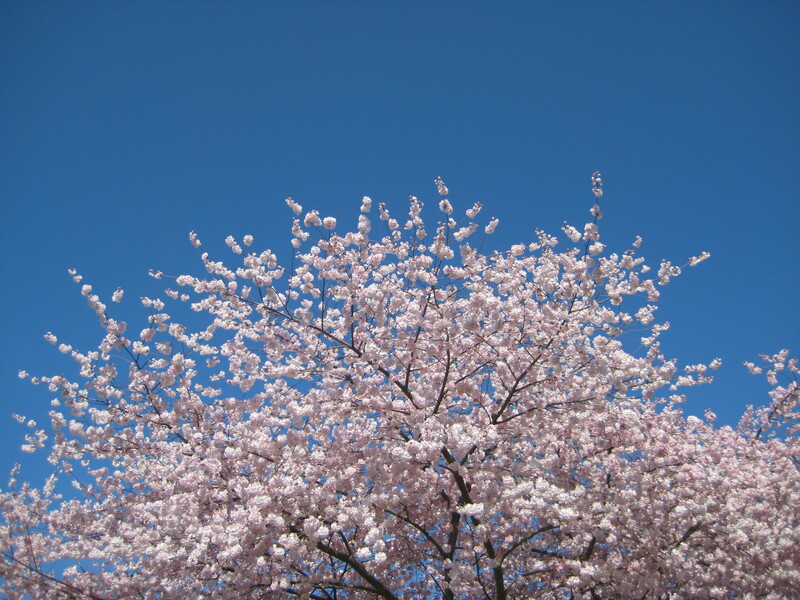 The purpose of the Contest is to encourage the writing of fine haibunin English and maintain the connection between the traditional Japanese perception of haibun and what is evolving around the world. The judges are hoping that the Contest will continue to receive a warm response from all haibun writers. The award for the Grand Prix remains the same – a good replica of a Hokusai ukiyo-e print – and smaller gifts will be sent to the An (Cottage) Prize-winners. The writers of all the decorated works will receive a certificate of merit. We sincerely look forward to your participation. 2 Style: No restrictions, but special attention must be paid to honour the spirit of haikai. 3 Length: In total, between 15 to 40 lines (at one line = 80 spaces; a 3-line haiku counts as 3 lines). 4 Haiku/Title: At least one haiku (no formal restrictions) should be included and each piece should be given a title, however short. 5 Format: Print on one sheet of A4-size paper (and use the reverse if long) and write at the bottom your name (and your pen name, if you have one) together with your address, telephone number, and email address.Your privacy will be strictly protected, and the judges will not see your names until the result has been decided. 6 Deadline: All entries should reach the following address between 1 October 2013 and 31 January 2014. Please send your entries to:Ms. EikoMori, 2-11-23-206 Jokoji, Amagasaki-shi, Hyogo-ken 660-0811, Japan.Entries received after this date might not be accepted.Kindly avoid sending by express and using extra-large envelopes. Best write your home address on your envelope, too. 8 Restrictions: Entrants can send up to three entries, but two is what we normally expect.They should be unpublished. As we cannot return your entries after screening, please retain your own copies. 9 Questions: All queries should be sent to the address above or by email to moriemori55@yahoo.co.jpEmail Ms. Mori 2 weeks after sending your entries if you wish to have an acknowledgement of receipt. 11Special Request: The authors of the decorated works will later be requested to send us their works by email. In this, we expect your cooperation. 12Results: The results and the judges’ comments will be sent to all entrants in spring. The prizesand thecertificates of merit will be sent to the winners by early summer. What does a cartoonist-in-residence do? 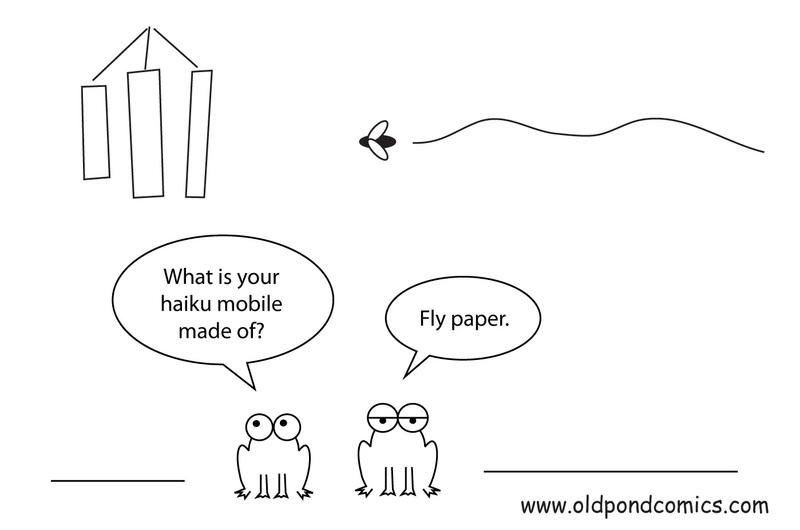 A cartoonist-in-residence will go to your haiku conference, attend as many conference sessions as possible and create comics that will summarize each sessions in only three panels. Being cartoonist-in-residence involves staying up all night and producing as many comics as possible. How did you find the time to make the comics?! The majority of the Seabeck comics were produced in two nights: on Friday Oct. 11 (10pm to 4am) and Sat. Oct. 12 (11pm-4am). Then, after only 3 hours of sleep, I would get up at 7am to make more comics. I had to skip two communal breakfasts, on Sat and Sunday (missing the best breafkast of the week, I was told: cheese-filled crepes!). In the morning, I sustained myself with cinnamon scones I had brought from home so I could make as many comics as possible. Skipping some sessions and social activities was sometimes necessary in order to make more comics. Being a cartoonist-in-residence puts you in a strange situation: you have to attend all the sessions to know what they’re about (so you make comics about them), but while you are attending sessions, you are not making comics. It’s quite a connundrum. Basically, the only solution is to attend as many sessions as possible during the day (drafting comics in my notebook) and then creating the comics at night while everybody is sleeping. I use Adobe Illustrator to make the comics. 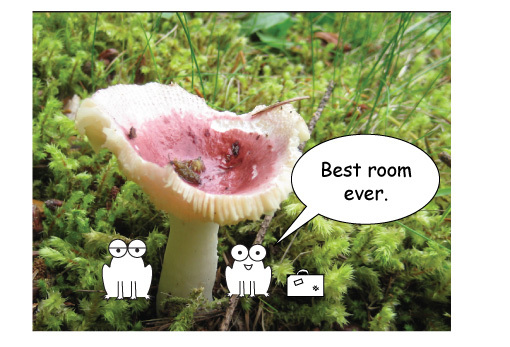 But doing the comics is the easy part… I also have to present them. Creating a Powerpoint presentation at 4 am is quite a challenge. Then, you have to present them – remaining coherent (difficult), funny (I suppose) and charming (you tell me!) – even though you’ve had only 3 hours of sleep that night. How long does it take you to make the comics? One comic takes approximatively 1 hour to make. I’m estimating I’ve spent around 15 hours making comics, and 2 hours to prepare the powerpoint presentation. And I’m not counting the time I spent drafting, attending sessions, taking pictures to use as reference for the comics, etc. Cartoonist-in-residence is a full time job. I’ve been attending haiku conferences since 2006. I used to summarize the sessions on my blog for people who did not have the chance to attend. My summaries were long blocks of text, without any pictures. It was quite long and boring to read, not to mention time consuming to write, so when I attended Haiku Canada 2009 in Vancouver, I decided to use comics to summarize, in three panels, the sessions. I produced seven comics that I posted on my blog and they became a huge success. In Haiku North America 2011 in Seattle, I brough my laptop with me and created comics that I posted on my blog and Facebook page every night, recapping the events of the day. For Haiku North America 2013 on the Queen Mary (Long Beach, CA), I sent a proposal and became an official cartoonist-in-residence for the first time. My comics were featured in the printed program, on the HNA blog, and their Facebook page, and the comics created during the conference were presented at the closing session. Seabeck Haiku Getaway 2013 was my second experience as an official cartoonist-in-residence. Did you invent this concept of cartoonist-in-residence? I’m not sure. Perhaps there are other cartoonists-in-residence out there. I haven’t checked. All I know is that I was always intrigued by the concept of “writer-in-residence” and, knowing that, when attending haiku conferences, I was going to make comics to summarize sessions anyway, I decided to send a proposal to the conference organizers to see if they’d be interested in having me as official cartoonist-in-residence. They loved the idea! Do you have another residency coming up? Yes. I will be cartoonist-in-residence at Haiku Hot Springs (Arkansas) on November 1-2, 2013. Attendees can send me their bio, photo (optional) and 5 haiku at tessinthewest AT hotmail DOT com to receive a surprise at the conference. Where do I contact you if I want to hire a cartoonist-in-residence for my next haiku event? I was the official Cartoonist-in-residence during the Seabeck Haiku Getaway (organized by the Haiku North West haiku group) at the Seabeck Conference Centre from October 10-13, 2013. During the event, I created thirteen comics that were presented Sunday Oct 13, on the last day of the conference. 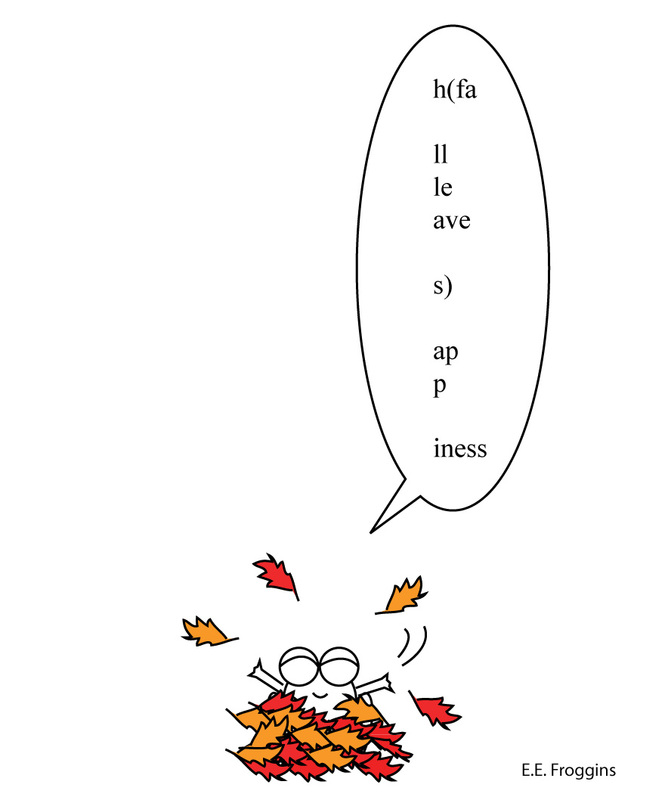 One Old Pond vignette (featuring Kaeru playing in autumn leaves) was included in the printed program. Read an interview about my experience of cartoonist-in-residence at Seabeck. Watch a digital story about the ginko walk to the Historic Seabeck Cemetery. Feel free to share these comics on your blogs, websites, Facebook pages and Twitter. Simply right-click and choose Save picture as (JPEG). 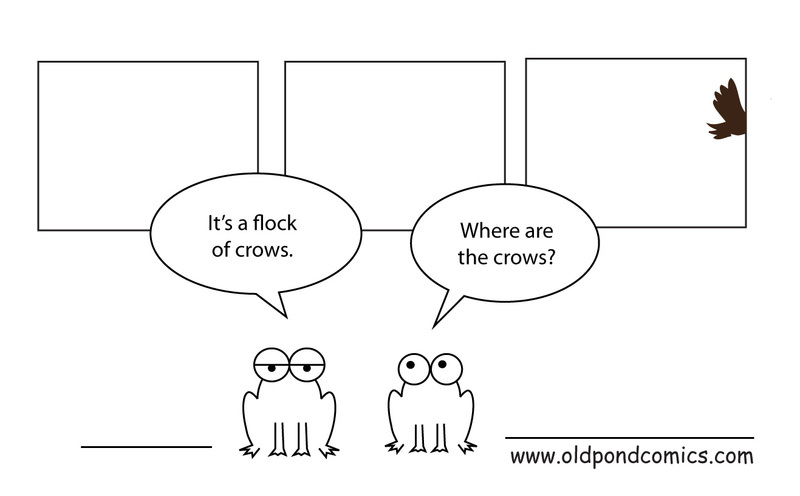 Please include a link to http://www.oldpondcomics.com in your blog post or website. Before you go at Seabeck Haiku Getaway, you have to create your own nametag . People used lots of creativity to create a nametag that would represent them. The Bouncing Bridge is a recent addition to the Seabeck Conference Centre and is quite an attraction in itself. It takes suspension bridge to a all new [sismic] level. Crossing alone, you can manage. Go with a friend, you’ll fight for your life. Cross the bridge with fifty people, right after the Seabeck Group photo, and fun is guaranteed. At the beginning of the conference, Michael Dylan Welch warned participants to pace themselves. Going to a haiku conference, and attending session after session, can feel a bit like “drinking from a fire hydrant”, he said. At every conference, you can bring a leaflet or something to give to the attendees so they remember you. The food at the Seabeck Haiku Conference was excellent. Breakfast was from 8.00-8.45, lunch from 12.00-12.45 and dinner from 6.00-6.45 As you got in the dinning, you could smell the aroma of the food. As soon as you sat down, they would serve you hot meal in a plate big enough for the 8 people around the table, a hot sidedish and a cold sidedish. Dessert was already on the table. I’ve never eaten so well in my life! Not only were we fed very well at the Seabeck Conference Centre, but attendees were encouraged to bring snacks to share. The snack table was jammed pack full of goodies. You could have eaten a full meal there! 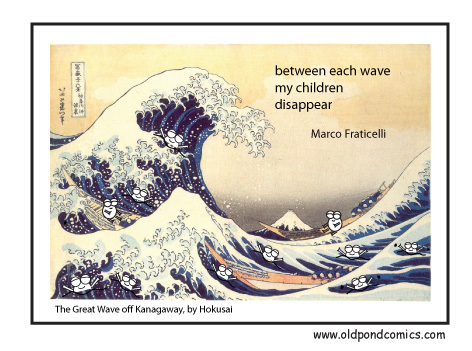 I was really happy to have the chance to spend some time with Marco Fraticelli, a poet from Haiku Canada that I only get to see when I attend Haiku Canada weekend (it’s an annual conference, but I only get to go every two years or so). Marco Fraticelli was the first hadjin I met, totally by chance, while I was studying haiku at the National Library of Canada, in Ottawa. Just like Marco, Kaeru the frog loves bringing his kids to the beach. The guest speaker Marco Fraticelli told the story of a painter in ancient China or Japan who was commissioned to paint four panels representing a flock of crows. Instead of painting numerous crows, like you would expect, he left three panels blanck and, on the fourth one, he painted half a crow in flight, as if a flock of crow was just there and had just flown away. Marco made the analogy with haiku: it’s often what’s not there that counts, what people imagine. Readers fill the gap in their imagination and complete the image. That was a great lesson. One of our favorite activities at Seabeck was creating a labyrinth. Following instructions from the leader Margaret McGee, participants split into two teams. Each team had “builders” who built the labyrith, and “decorators” who decorated the labyrinth with leaves, feathers, branches, shells, and haiku. E. E. Froggins ( E.E. Cummings’s cousin) is also a poet; he wrote this happier version of the leaf falls poem. At Seabeck, a suspended card holder called “The Sputnik” hangs from the ceiling and holds haiku written on index cards. This year, the Sputnik held a dozen haiku written by the guest of honor Marco Fraticelli. Tonight, I attended my first Pecha Kucha Night Vancouver. The theme of the evening was: film. 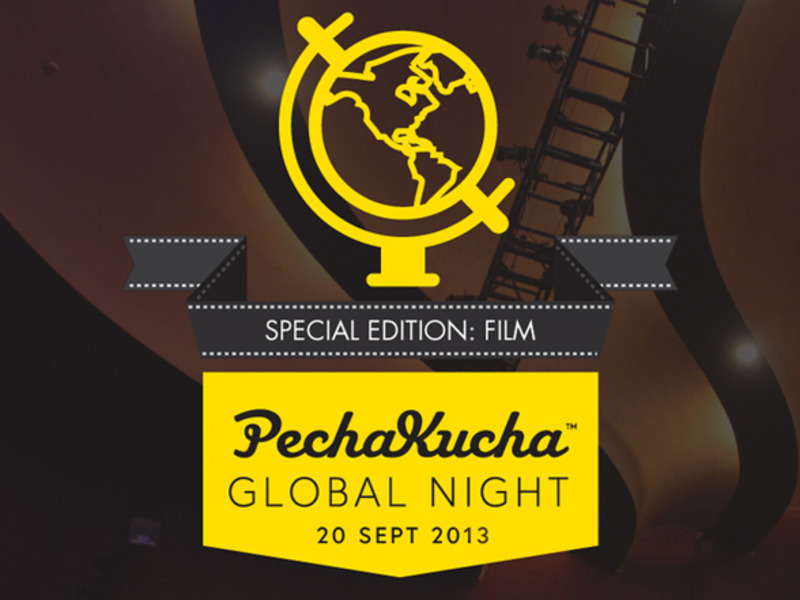 It was a special evening because on September 20 apparently there were other pecha kucha nights happening the same day all around the world. Pecha kucha means “chit-chat” in Japanese. It’s a short presentation of 20 slides of 20 seconds each. The slides advance automatically. People speak for 6 minutes and 40 seconds, then get off he stage. The lineup featured the hidden heroes of the film industry in British Columbia such as a digital colorist, a showrunner, a documentary filmmaker, an actress, etc. The doors of the Vogue opened at 6:30. The line was moving fast. When I got in the theatre around 6:45, the middle aisle was about 70% full. I took a seat on the side aisle so I could see better. By the time the show started at 7:10, it was a full house. Warning: Pecha Kucha is often sold-out, so if you want a good seat or if you are coming with friends, it’s best to come early. There’s a bar. Alcohol is served in plastic cups, or you can have your beer in a can! At 7.10, the show started with a musical act by Brasstronauts. Excellent. The played for about 25 minutes, then there was a 10 minutes break while they removed the microphones and instruments off stage. Then pecha kucha began at about 7:45. Speaker were introduced to the stage by the host (from Cause and affect), a very funny guy. The first presenter went on stage and the show began. After the last slide, the screen turned black and the words NEXT PRESENTER appeared on screen. There were no breaks and the evening ended about 10.00 There were more guests than usually tonight and I found it ran a little long for my comfort (I started shifting in my seat), but all the speakers were good. I just wished there had been a short intermission or something. Kristin Lehman, actress on CTV’s series Motives, recalled a dream in which someone said to her: “Make a joyful noise”. Andrea Chlebak, a digital colorist, recalled one of her mentor’s philosophy: “When you want to be creative, you have to be three persons: artist, observer, technician”. She presented a funny Facebook post by her nephew revealing how little people actually knew about her job which is to add color to a movie. She mentioned that movies are like travelling, they take you to other places. And when you travel, it allows you to see the world differently. Simon Barry, creator and showrunner of Continuum tv series, learnt that “power is about giving it away”. You have to trust your directors, actors, fx department. Working in tv is a collaborative effort. When he wrote in the scrip “Vancouver – the future”. They built a model of futuristic Vancouver and this helped the story and the actors to know what they were looking at. Also, when they wrote a barn into the show, they had to build it… and then they blew it up… because it’s tv and that’s what they do. Kevin Eastwood, director of The Art of Delicate parking (a low budget film that became a success). He directed Fido, starring Carrie-Ann Moss (who accepted to play the part, even though she became a mega-start after Matrix). After that, he had trouble finding funding for his next project, so he turned to documentaries (Eco-Warriors), reality show (Animal Hoarders), his upcoming project is the hilarious Oil Sands Karaoke. He worked for The Emergency Room (reality show) in Vancouver. He said: “You don’t know your city until you worked in the ER. I didn’t know there were so many stabbings in Vancouver. I saw family, friends, colleagues, politicians. Death, accidents, illnesses… they are the great equalizers.” Funny thing is while he was working on ER Vancouver, he flew to LA for a meeting, and had a cardiac arrest outside LAZ. His friend Sonya (7 month pregnant) performed CPR on him. The ambulance technician worked on him, but he basically flatlined. They directed the ambulance towards a crappy hospital (where they thought they would just pronounce him dead), but when they suddenly got a pulse again, the ambulance did a 180 degrees and they moved him to the good hospital where they could fix him. He was a in a coma for a long time. Had 250,000$ of work done on him (the price of his last film!) What he learnt is that everyday is a gift. Damien Gillis is an environmental journalist turned documentary filmmaker (Fractured Land). He follows the dialectic principle that from opposing idea (thesis, anti-thesis) grows something new. His documentary Fractured Land featuring an aboriginal lawyer fighting big oil sands company. As he says, “Someone who can throw a hatchet and sue you is a force not to be reconed with.” The filmmaker and the subject of the documentary discovered during the shoot, that their grandfather were friends, long time ago. There were also other guests who were equally inspiring (Save BC Films, Project Limelight), etc., but I didn’t take any notes on these ones. You’ll find their picture below. 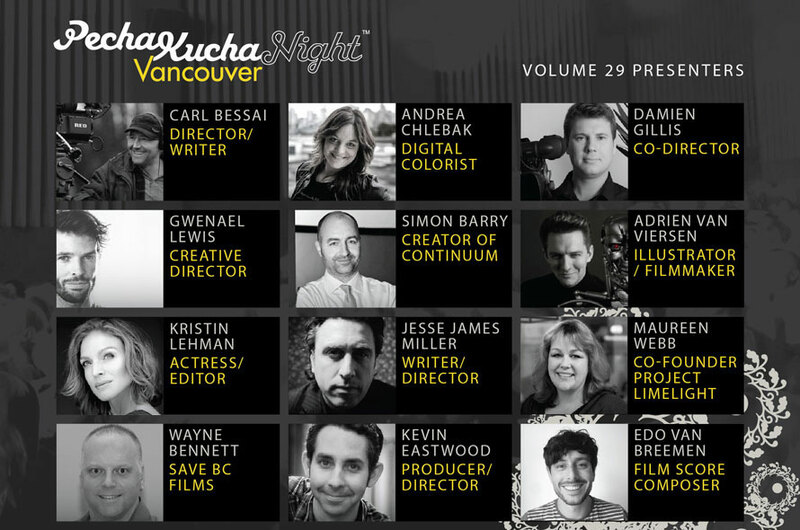 I really enjoyed PechaKucha Night in Vancouver and I will be back again.